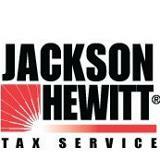 Jackson Hewitt Tax Service Inc is the 2nd largest tax preparatory services in America. The company had been established in the year 1982 with varied investors. Since its inception, the company had a slow growth with addition of more outlets. Presently, the company has more than 6,800 company-owned and franchised locations throughout America with 2,800 Wal-Mart outlets and above 400 Sears's outlets in nationwide. It offers customers with electronic filing and services for tax return preparation. By using tax software, this company offers computerized state and federal income tax services and also individual tax services. It also offers representation of tax audits. There are currently 0 consumer reviews about Jackson Hewitt Tax Service Inc available. Share your review. Please take a note that you are about to post a public review about Jackson Hewitt Tax Service Inc corporate office on CorporateOffice.com. This review will be public, so please do not post any of your personal information on this website. If you would like to contact the corporate offices of Jackson Hewitt Tax Service Inc, please use their contact information such as their phone number, website, and address listed above to contact them. However, sometimes staff from Jackson Hewitt Tax Service Inc headquarters do read the reviews on this website.